Off and on through the years, I have read and reread Jonathan Edwards’ insightful “Resolutions” at the turn of each calendar year. Even though Edwards wrote these words over 280 years ago, they still speak to the same issues of life we deal with today. In them I find some excellent resolutions for this New Year. Rather than reproduce them all, which you can read here, I have copied those resolutions (and their numbers) that have meant the most to me. 43. Resolved, Never, henceforward, till I die, to act as if I were any way my own, but entirely and altogether God’s; agreeably to what is to be found in Saturday, Jan. 12th. Jun. 12, 1723. 52. I frequently hear persons in old age say bow they would live, if they were to live their lives over again: Resolved, That I will live just so as I can think I shall wish I had done, supposing I live to old age. July 8, 1723. 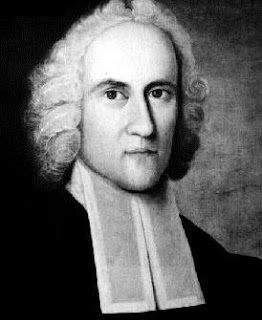 Excerpts and image from The Works of Jonathan Edwards, Vol. I (Carlisle: Banner of Truth, 1992).